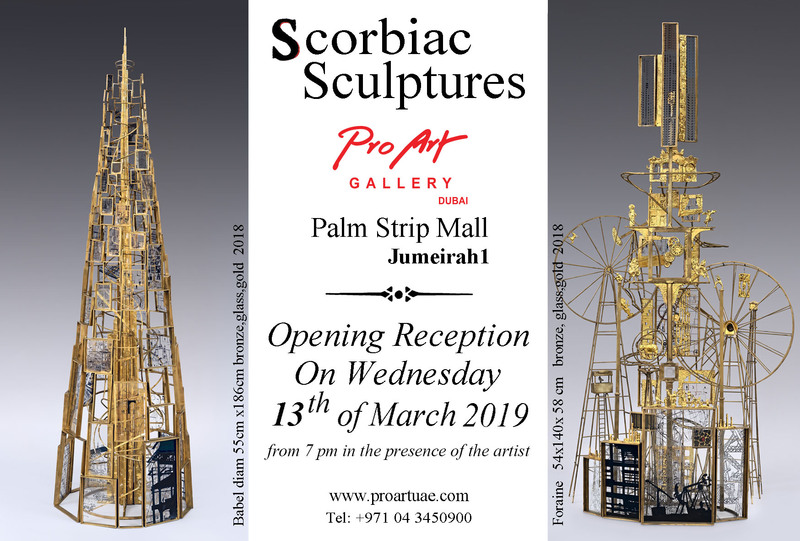 PROART GALLERY cordially invites you to the Opening Reception of the Solo Exhibition "Scorbiac Sculptures"
by Mr. Raphael Scorbiac On 13th March 2019 @ 7.00 PM Onwards at Palmstrip Mall, Jumeirah 1, Dubai. 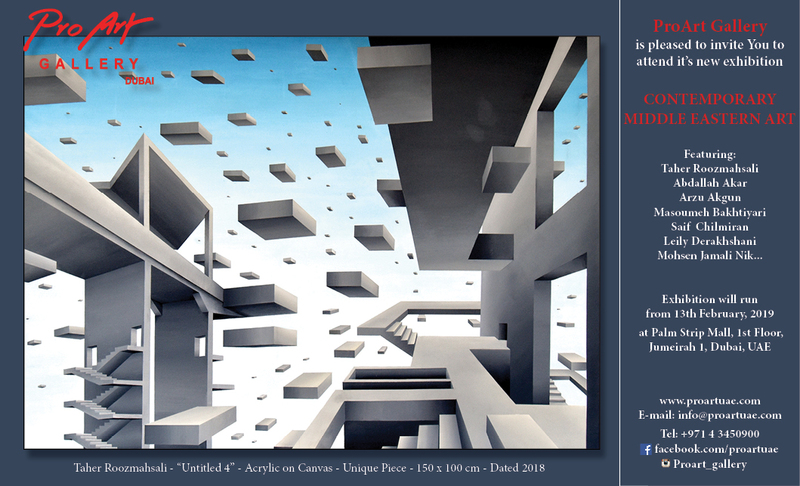 Happy to present You our New Exhibition “Beauty & Elegance” by the internationally Renew Artist Jean-Pierre CASSIGNEUL for the First time in Middle East. The Exhibition will start from the Wednesday 16th January 2019. From 21st November 2018 onwards. At Palmstrip mall first floor. 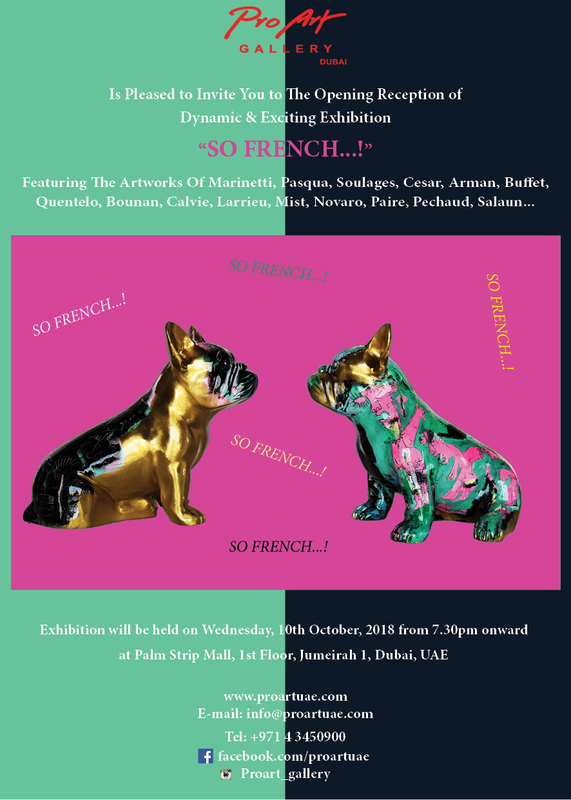 PROART GALLERY IS PLEASED TO INVITE YOU TO THE OPENING RECEPTION OF THE DYNAMIC & EXCITING EXHIBITION " SO FRENCH"
10th OCTOBER 2018 @7.30 PM ONWARDS @ PALM STRIP MALL, JUMEIRA, DUBAI. 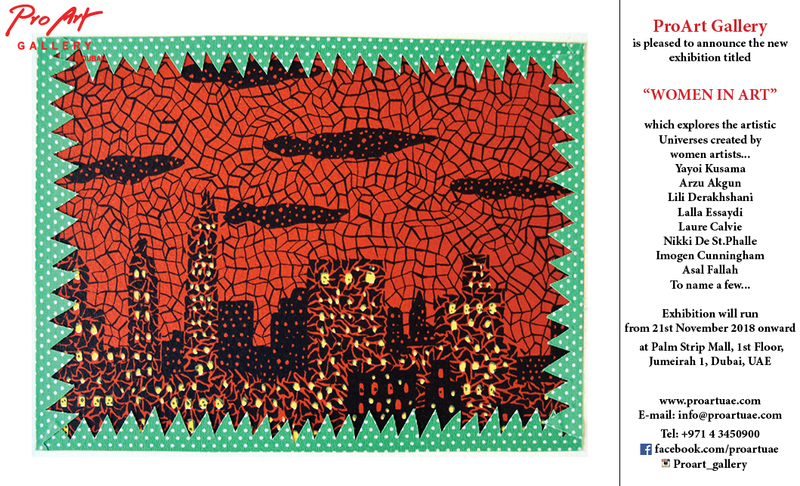 The exhibition will feature art works by prominent and renowned street & and Pop art legends. Exhibition to showcase selected artworks that document LOVE and PEACE series by the Emirati Artist.